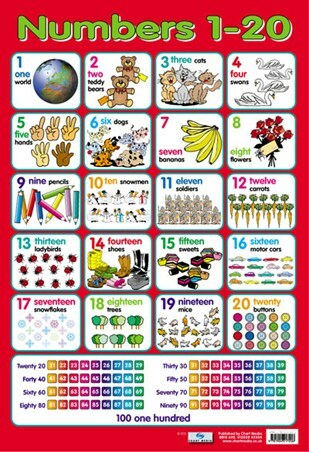 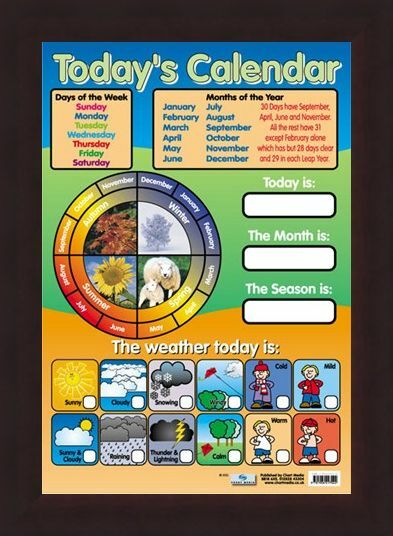 Today's Calendar Mini Poster: This glossy educational mini poster is a must have for any family with a young child. Growing up, your child will experience lots of different changes in their environment including the weather and the seasons. 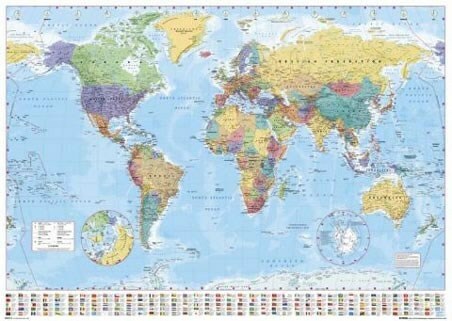 With this calendar, they can find the 7 days of the week, the 12 months of the year, the 4 seasons and 12 different weather scenarios. Also included on this poster is the months of the year rhyme to help your child through the year. 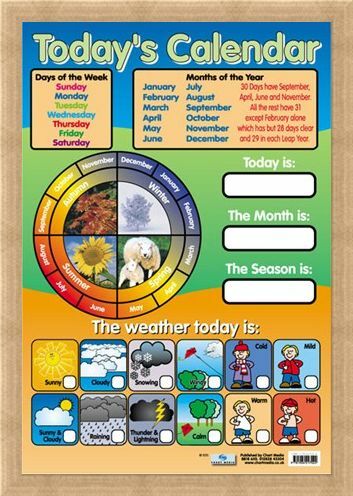 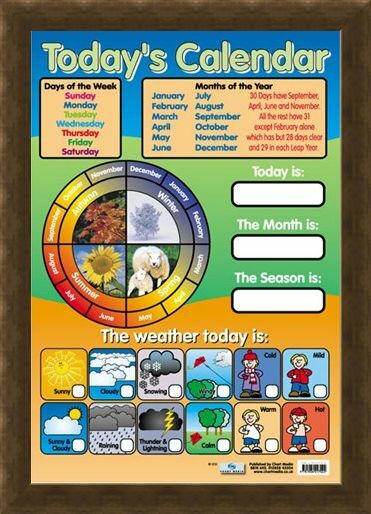 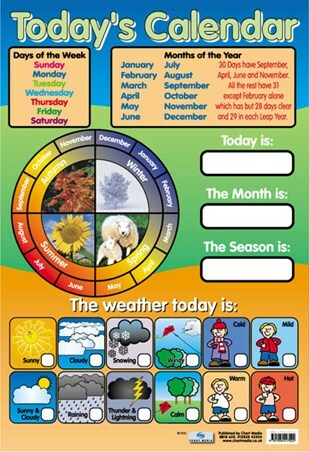 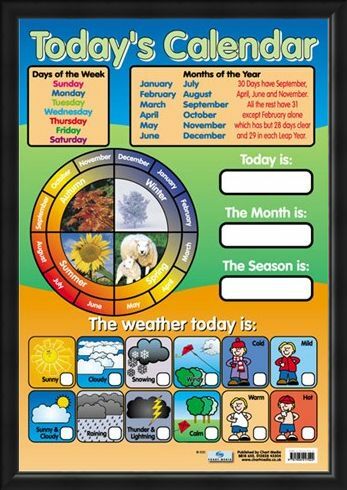 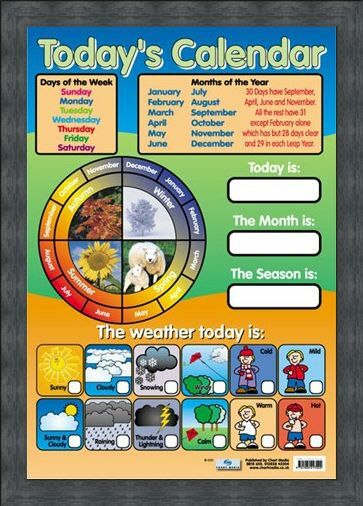 This mini poster can be written on and is wipe clean, so all through the year you and your child can keep track of the days, weeks, months, seasons and the weather. 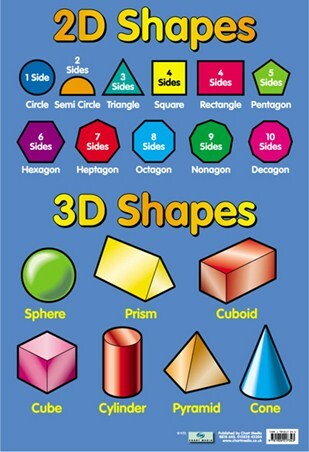 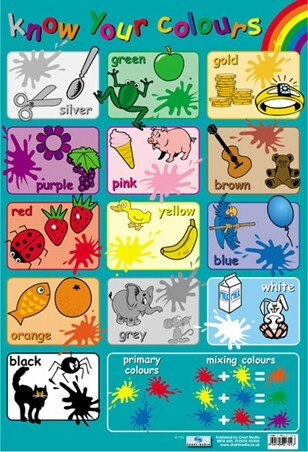 A fun, colourful and educational poster for all children. 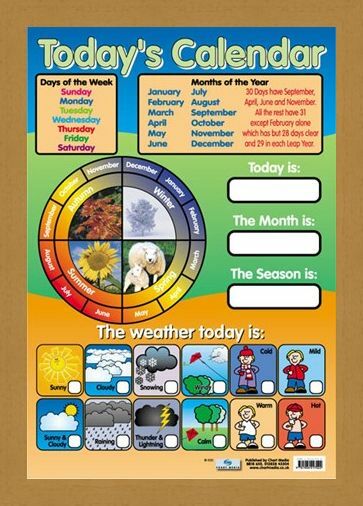 High quality, framed Today's Calendar, Educational Children's Chart mini poster with a bespoke frame by our custom framing service.